J’Cee Hyatt is a research associate for the Nissan division at Zimmerman Advertising. Hyatt fell in love with advertising after interning with Zimmerman as an undergraduate student. Hyatt knew she wanted to pursue a career in strategy, and after her internship she was offered a full-time position as a junior strategist. At Zimmerman, Hyatt is constantly analyzing and researching various types of audiences. The research Hyatt collects allows her team to determine the best way to advertise Nissan’s wide variety of cars. 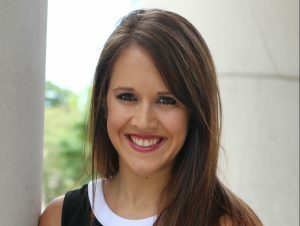 At The University of Alabama, Hyatt was a nursing major who switched to advertising fairly late in her college career. Despite being a late addition to the advertising and public relations department, Hyatt was still able to immerse herself in all the A+PR program had to offer and stay on track. While at UA, Hyatt was involved in Ad Team, AdFed, the Alumni Mentor Program and the A+PR Student Board of Directors. Due to the extensive amount of extracurricular opportunities offered by UA, Hyatt was able to walk into job interviews with actual knowledge and experience she was proud of. Hyatt also said she received compliments from interviewers commending UA’s clubs and organizations. Hyatt attributes her professional success to her many mentors. Professors like Teri Henley, Jay Waters, Susan Daria, Mark Barry and Randall Huffaker pushed Hyatt to reach her full potential.